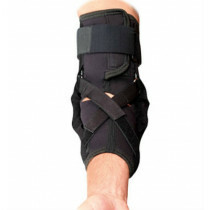 Versatile post operative knee brace design.  Easy-to-use hinge for comfortable range of motion control. Full foam softgoods with simple buckle closures. The Donjoy Telescoping TROM Knee Brace is the most versatile post-operative brace for most knee surgeries such as ACL, MCL, tendon repairs, fractures and cartilage surgery. 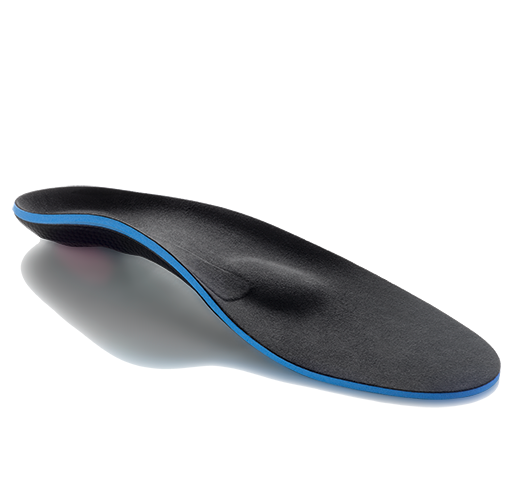 It provides full protection and control of range of motion with a state of the art, versatile hinge. The Donjoy Enhanced Telescoping TROM knee brace hinge mimics your knee joint's natural motion, and can be adjusted in ten degree increments. Both flexion and extension limits can be set with a simple push of a button. It's fast and easy. The Donjoy TROM uses a sliding hine bar design to telescope out to a longer length to accommodate taller size patients. The hinge bars can extend from 24" - 32" to fit most average to tall size patients. With the bars completely removed the brace becomes only 17 1/2" long - perfect for individuals 5'4" and shorter. 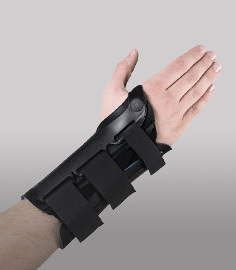 The brace features wide foam padding for comfort and is widely used for recovery after arthroscopic procedures. The TROM post-op brace can be used for recovery following ACL/PCL surgeries, regenerative chondroplasty, meniscus repairs, and much more. TROM hinge is easy to use and can adjust the range of motion with the click of a button. Quick drop-lock mechanism from 0 to 90 degrees in 10 degree increments; offers a variety of flexion and extension capabilities for personalized rehabilitation protocols. Easy to set extension stops: 0, 10, 20, 30 degrees and flexion stops: 30, 40, 70, 90 degrees and fully open. Length: telescoping hinge bars can be used to extend the brace from 24-32"; with the hinge bars completely removed it becomes 17 1/2" long. Buckle design on the straps allow for fast and easy strapping/adjusting. Available in Regular Standard and XLarge sizes - please see sizing chart tab for important measurement instructions. Regular (standard): up to 26" circumference (measured 6" above mid patella). XL: 26"- 32" circumference (measured 6" above mid patella). Soft breathable foam material used throughout in the softgoods. I purchased this surgery knee brace because my doctor recommended it for my acl surgery. The Standard fit me perfectly and all I had to do was extend the bars a couple of inches and that was it. You can also trim the foam and the strap length if you need to to help it fit perfectly. Good brace.